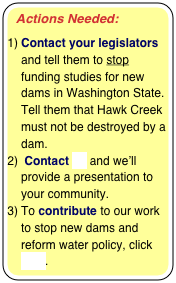 On Washington State’s list for new dams, Hawk Creek is number two. 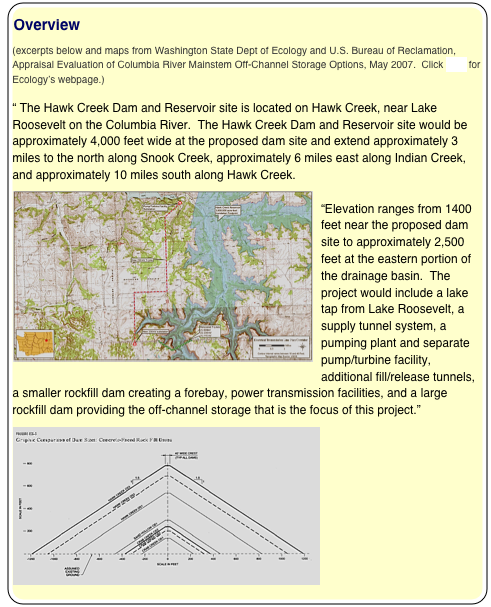 Costing taxpayers $8 Billion, the Hawk Creek Dam would flood a lovely canyon where people make their homes and farm. 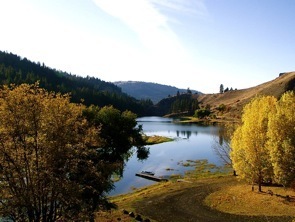 Hawk Creek is also home to wildlife. 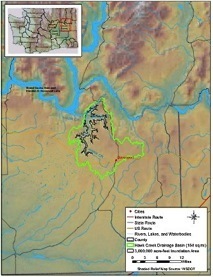 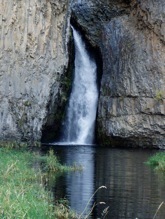 The area below Hawk Creek waterfalls is a breeding site for kokanee salmon and rainbow trout for Lake Roosevelt.